TAMPA — Republican gubernatorial Ron DeSantis does not disagree with President Donald Trump's description of the media as "enemy of the people." "When you're doing things that are deliberately misleading, when you're using hit pieces that are totally unfounded, I mean that's a problem," DeSantis said Tuesday when asked several times about Trump's characterization of the media. "I think it's wrong." But after a Tampa campaign event where Florida reporters were barred from hearing the gubernatorial nominee speak with voters, DeSantis stressed that he does not necessarily think journalists outside of Washington are enemies of the state. "I don't think you're the enemy. I don't always agree with what you do, (but) you guys serve a proper function," DeSantis told the Tampa Bay Times as he hustled into a SUV outside La Teresita restaurant in West Tampa. "It's an important role, particularly in local, particularly in state, to have folks who are willing to try to find the facts." Yet even though the northeast Florida congressman is married to a Jacksonville reporter-turned-TV host, he doesn't make it easy for journalists to report about where he stands on issues he would deal with as Florida's governor. During the Republican primary, he appeared multiple times a week on Fox News, but almost always talked about national issues, such as the special counsel Russia probe. He rarely made himself available for one-on-one interviews or invited journalists to hear him talk with voters. On the stump and in his advertising, he talked much more about combatting illegal immigration than his agenda for governor beyond beefing up civics and vocational education and following the course set by outgoing Gov. Rick Scott. DeSantis, 39, overwhelmingly beat Agriculture Commissioner Adam Putnam in the Aug. 28 primary, but he's continued to keep quiet about his agenda as governor. His main message has been that Democratic nominee Andrew Gillum is too liberal for Florida. 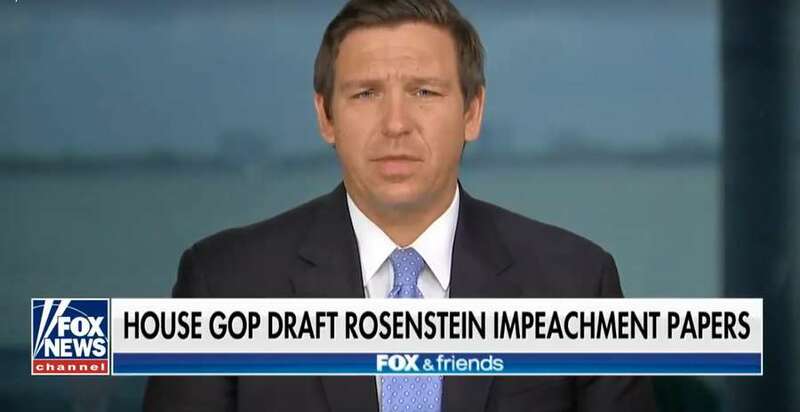 Since the primary, DeSantis has appeared on Fox News at least five times, on a New York-based national radio show, and given an interview to the Spanish language Telemundo 51 in Miami and to a network that owns stations in Gainesville, Panama City and Tallahassee. It did invite reporters to attend a "Hispanic Outreach Roundtable" in Tampa with nearly two dozen Republicans. Organizers invited reporters to film and photograph the people in the room and then ordered the journalists out of before the discussion began. DeSantis did take a few questions from reporters before heading out to another event, which he didn't disclose. • Does DeSantis support the Trump administration's tougher restrictions on travel to and from Cuba, even if it makes popular Tampa to Cuba travel harder and more expensive? Yes. • Does DeSantis support ongoing efforts to overturn the Afforable Care Act, even if it means Floridians could lose protections for pre-existing conditions. Yes, he wants the law overturned, but as governor he would like to find a way to keep that popular protection in place. • Does he support tax incentives to recruit businesses to Florida, including tax breaks for producers making movies in the state? Maybe, but it depends on the situation. • Why does he like to do events such as the Hispanic roundtable. "I think it's important to engage the community," he said.